She has been a resident of New York City for over 30 years performing professionally, in conjunction with teaching master voice to a variety of artists in New York, Los Angeles and internationally in Italy, England, Portugal, Russia and Australia.Mary has been seen on Broadway in Hello, Dolly! starring Carol Channing (cast recording), and toured the US and Europe with Broadway shows including Phantom of the Opera (Madame Giry), Les Miserables, Hello, Dolly! (seen in several performances as Irene Molloy across from Carol Channing) and Evita (as Eva Peron in Duisberg, Germany). Mary was featured at Carnegie Hall in Jubilee directed by Herbert Ross. As a voice teacher, Mary prepared Nicole Kidman for her Golden Globe Award winning and Oscar nominated performance in Baz Luhrman’s Moulin Rouge. She taught Mary J. Blige as well as the stars of John Turturro’s musical movie Romance & Cigarettes, including Kate Winslet, James Gandolfini, Mandy Moore and Bobby Cannavale. Mary recently prepared Bella Thorne for her feature film singing-debut in Scott Speer’s Midnight Sun. 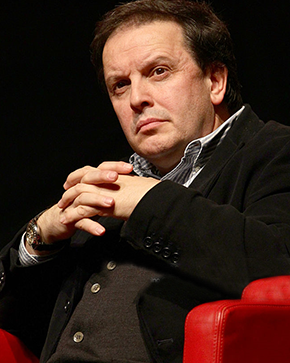 Journalist and film critic is writer and host of the daily film program “Hollywood Party” on the Rai Radio 3 station. He has written and edited over a dozen books, among others, about Robert Altman, Roman Polanski, Satyajit Ray, Nagisa Oshima, Nanni Moretti, Rainer Werner Fassbinder, Marilyn Monroe, Pier Paolo Pasolini, Carlo Verdone, Toni Servillo, Sergio Castellitto. Has been the consultant, for eight years, for the Venice Film Festival. Since 2007 until 2014 has been in the Subcommittee for the Recognition of Cultural Interest of the General Direction for Cinema of the Ministry of Culture. Has been the curator (2009-2012) of the National Cinematography. 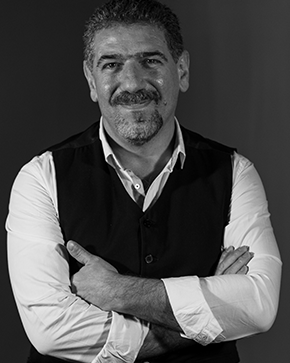 Being more than 20 years in film industry Hovhannes Galstyan has founded Parallels Film Production in 2005. Later, the name “Parallels” became the undivided part of his debut film “Bonded Parallels”(Armenia, Norway, France 2009). Its world wide premiere was in Moscow Film Festival and European premiere took place in Roterdam Film Festival. It was included in IFFR (bright Feature Program), Moscow IFF Competition, Locarno (open doors) Special Armenian screenings, San Paulo ( New Directors), Tromsø. It became the only Armenian film having broadcasting in Europe (Film Europe Chanel). 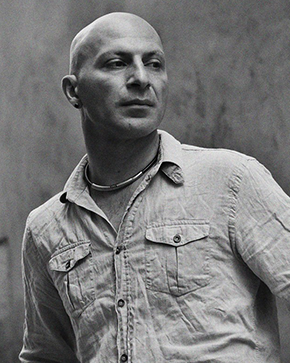 He has received many several awards and contributions including the Ministry of Culture of the Republic of Armenia. In 2016 he has founded Cinema of INdustry Education and Motion Arts (CINEMA)- his own authorial cinema centre the main goal of which is giving new horizons and opportunities to the new film directors, script writers and producers. Currently Hovhannes Galstyan is working on his second feature film of “Metamorphosis” (Armenia, France, Bulgaria, 2018). One of the most notable of contemporary Swedish filmmakers. She works as director and producer and has her own production company, CO.FILM, since 1974, and directed and produced a number of feature films and feature length documentaries. She has been awarded many prizes for her films and broadcasters throughout the world have purchased them. 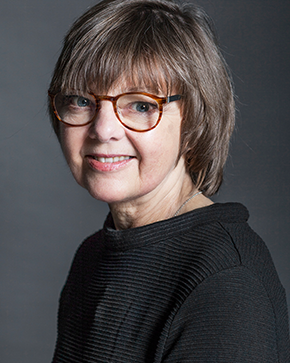 Christina Olofson has held various board positions including the Swedish Film Institute, Film Directors of Sweden, Women in Film and Television, Sweden, vice president of FERA (Federation of European Film Directors) and now president of Film Directors Sweden. About 20 years she is in the movie industry. From 2000 to 2003 implemented international film festival ”Private Glance”, in which movies with low budget and movies by Independent filmmakers took part. She works in the Parallels Film Production LLC. Her filmography includes the films “Half Moon Bay” (2014), “Bonded Parallels” (2009) etc. Author of six books. 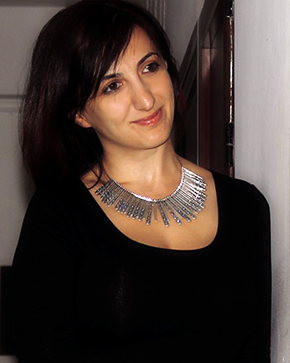 From 1996 to 2014 worked as an artist at Yerevan State Drama Theater after V. Ghaplanyan. From 2000 to 2014 he has been the director and art director of Yerevan State Drama Theater after V. Ghaplanyan. His “Pandemic” romance received a prize in 2013 in the category of “Best novel of the year”. Her opinion columns, essays and book reviews appear in English language publications like the New York Times, Wall Street Journal and NPR’s All Things Considered among many others. She currently serves as an editorial board member of World Affairs. 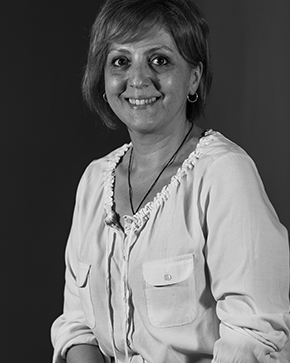 An active thinker of foreign relations, Roya is a founding member of the Iran Human Rights Documentation Center. She has been featured in the Washington Post and the US News and World Report, among other publications. 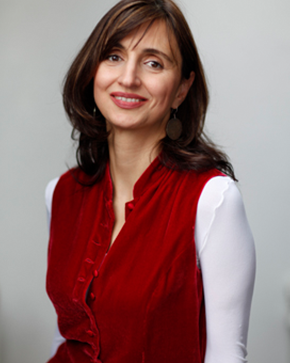 Roya is the author of two collections of poetry in Persian, and is listed among the leading new voices in Persian poetry in the Oxford Encyclopedia of the Modern Islamic World. Hakakian has collaborated on over a dozen hours of programming for leading journalism units on network television, including 60 Minutes and on A&E’s Travels With Harry, and ABC Documentary Specials with Peter Jennings, Discovery and The Learning Channel. Commissioned by UNICEF, Hakakian’s film, Armed and Innocent, on the subject of the involvement of underage children in wars around the world, was a nominee for best short documentary at several festivals around the world. From 1998 to 1999 has been art director, concept developer at “Diana Design” LTD. From 2000 to 2002 has been the Project coordinator at “Emi-Bi” production center. Since 2004 up to now she is the Vice president of “Bars Media” documentary film studio. She has directed and produced PSAs, for various international organizations and local NGOs (UN, UNICEF, European Union, and USAID). She worked as an assistant director for the multi-award winning documentary A Story of People in War and Peace. Her filmography includes the films “Aurora’s Sunrise”, “One, Two, Three”, “The Child Police from India”, “Power of the Girls”, “The Last Tightrope Dancer in Armenia”, “Childhood Dreams” etc.